This is a short list of what you can enjoy during your stay in Cancun, do not hesitate to ask us if you need more information about some specific tourist attractions. If you’ve ever wanted to experience a little slice of paradise, the Mexican city of Cancun is the perfect destination for you. The staggeringly beautiful Cancun coastline offers visitors a fantastic taste of Mexican beach life. The white sands and sparkling sea provides the ultimate backdrop for a picture perfect trip. Whatever your perfect day-at-the-beach is, be it sunbathing, snorkelling, diving, water sports or people watching, Cancun’s beaches have it all. The stunning landscape which frames Cancun’s beaches is ripe for exploring. Travellers can take advantage of land activities such as horseback riding, hiking and open top Jeep rides through the breathtaking Cancun scenery. If you enjoy a spot of Golf, you may never want to leave Cancun. With its staggeringly beautiful courses and fantastic weather, Cancun is tremendously popular with golfers, professional and amateurs alike. If a little nightlife is what you’re looking for at the end of the day, Cancun has it in abundance! With fantastic bars, live music venues and nightclubs, there’s a night out to suit every type of reveller. You can dance ’til dawn in one of Cancun’s many world renowned nightclubs. Or perhaps you’d prefer to sit back, relax and while away the evening outside one of Cancun’s fantastic bars or cafes. Eating out in Cancun means indulging in some of the world’s best cuisine. There are so many great restaurants offering a variety of different dining experiences from fine dining to beach-side cafes. 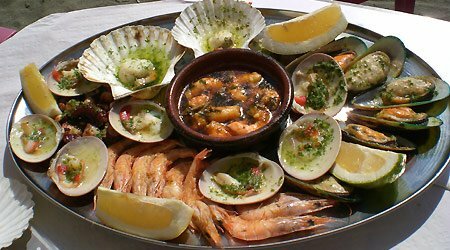 Be sure to have a taste of some traditional Mexican dishes on your trip and if you like seafood, Cancun’s the place for you! Fresh lobster is a Cancun speciality and why not try a little ceviche, a Mexican speciality showcasing freshly caught seafood such as shrimp or octopus? Cancun has a fascinating history and rich culture and many would say a trip to Mexico is not complete without experiencing the wonder that is Mexico’s Mayan ruins. Cancun is considered the ‘Gateway to the Mayan World’ and there are many ritual sites, archaeological sites and temples near the city. One way to experience the Mayan world is to travel to a park such as Xcaret which has a Mayan village, an archaeological site and also presents visitors with traditional Mayan performances which feature ancient Mexican dances and music. Xcaret even offers visitors the opportunity to snorkel in underground rivers! There are many Mayan sites outside the city and Cancun has a number of tour companies offering visitors different ways of experiencing the mysterious beauty of the Mayan ruins, from guided tours to self-drive Jeep adventures. There is so much to do in Cancun that one trip may not be enough! Cancun’s shopping is world famous. There are luxury shopping malls, flea markets and street markets for visitors to peruse. And shopping in Cancun is duty free! Mexico has long been known for its Spa culture and Cancun is no different. It is one of the foremost spa destinations in the world with a multitude of Spa resorts. Spas in Cancun offer treatments which combine modern and ancient methods and often include traditional Mayan healing rituals. Being a beach city with something for everyone, it’s no wonder that Cancun attracts visitors on every budget. There is a variety of accommodation for every type of traveller, from luxury hotels to self-catering apartments to B&Bs. Cancun really is a city which suits all needs. It’s probably fair to say that the climate in Cancun is one of the best things about the city. 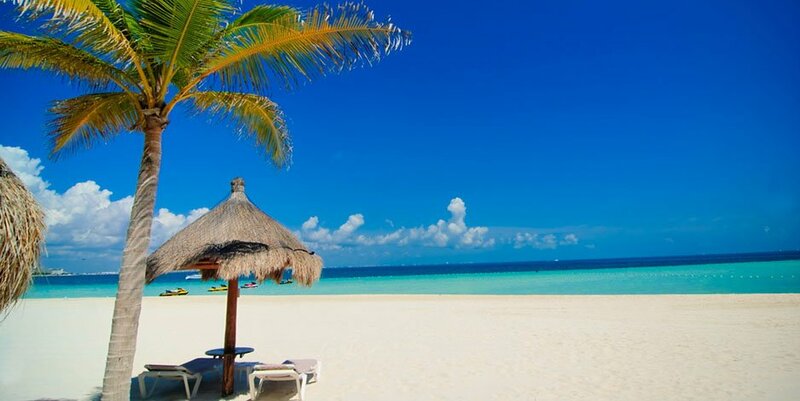 Cancun has a tropical climate and the city is warm all year long. The average temperature is 80 degrees and is hottest from May to September. A trip to Cancun can really be the holiday of a lifetime. So if you want to swap grey skies for wide open blue skies you need to hang up your umbrella, pack your sunglasses and come to Cancun!